All disease from our pet animal should be rejects as soon as possible. That’s because beside it would kill them self, that disease can also infect human moreover if you have a livestock, guarantee the quality of your product is a must. Don’t make your consumer poisoned by your chicken’s disease that couldn’t heal perfectly. 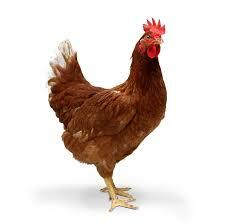 As we know that chicken has many risks to infect by some diseases. That’s because many people or farmer want to raise them in a million but they are forget that even if they are same, some of them has differences ability moreover when they face the a disease. Mostly may survive but the rest is not. One of all disease that commonly infects the chicken is jaundice. Jaundice is disease that make the chicken become looks very pale, and tends to be pale yellow, if left unchecked it will gradually turn yellow and endanger the chicken. Some people said that pale and yellow vibe of this disease is a symptom and not the main problem. That’s because this disease is so relatable with another disease like acute sore throat. And it is not happen for livestock chicken like broiler only, but also another kind of chicken like ornament chicken and chicken fighter. So why did the jaundice can catch the chicken? Here the causes. Over pressed. For chicken fighters, the fight duration both of real fight or just practice will make fatigue. This fatigue that is not quickly repair will also cause jaundice. The lost energy that come out from chicken should be reduce as soon as possible moreover it is a fighter chicken which has to keep the stamina in order to always get ready of there is a competition. The pet owner of chicken fighter usually has special secret recipe to increase the energy. So you better also know how to manage their energy with make schedule practices, okay? Virus attack. Virus can also cause jaundice for chicken. As mentioned before that jaundice honestly is like a symptom, basically there are diseases that haven’t said yet. The virus disease that cause jaundice such like liver problem. So the virus is attack the liver and the symptom that would be appear is jaundice. So that’s the progress. Canker attack. Canker is also cause jaundice. Canker is a disease that will catch the chicken when they are stressed or dehydrated. The diseases that happen over chicken will be started with dull fur, limp, bad breath and ended with jaundice over the face. Maggot attack. As we know that maggot will steal the nutrition of chicken. The nutrition or food ingredient that should be burned by chicken to produce energy will be lost stolen by maggot. This case is similar with canker attack or dehydrated case. But the difference is surely the object. Throat sore. The acute throat sore also cause jaundice. Throat sore can cause by the wound inside the throat. This wound cause by the food which too big. It can enter into their stomach but scratch the throat. It can also cause by neck hit and hurt the throat again. If it isn’t heal as well, it become complicated which started with mucus that comes out of the mouth, and lost the sound, and jaundice. Because the cause of jaundice are multiple so the treatment and the method are also multiple adjust the cause of it. You don’t need to worry because all written below are homemade ingredient which is really easy to find. Not only that, the ingredient below also use some medicine which has more effect if your chicken need emergency aid. But doesn’t mean to underestimate the herbal ingredient but if the jaundice is not reduced well, you still need to bring your chicken in to the vet. Now let’s jump to the treatment. Snail protein. As we know that snail had many advantages not only for human but also the animals. The part that usually used for healing is the mucus the sticky acid which comes out from their foot. But basically if you can process the snail properly, the whole of their body can profitable for health thingy. If the problem of jaundice if your chicken cause by over pressed, you can give him one chicken mix with small tomato. If you hard to find snail, you can use mussels to replace it. Give one snail and one small potato per day. Give it after your chicken has rest. Still for chicken fighter which got a punch, you can give them red sugar and ginger emulsion sufficiently. Give it every morning or night. Just pick one. Tetrachlor is a medicine which contained antibiotic. Basically you can use another product but just make sure that it contained medicine. Give tetrachlor with probiotic with 5-10ml dose. After that mix their drinking water with apple vinegar but don’t make it too bitter. Apple vinegar able to kills the bacteria. Probiotic helps the chicken stronger and inhibits the growth of bad bacteria. You can give it 1-3 days long with once dose per day. This method is very useable with canker. Mix the vitachick over the drinking water. Add 5-10 ml prebiotic with red sugar emulsion. Vitachick able to reduce the consequence that caused by virus. It also used to press the virus movement. The sugar emulsion used to repair the stamina that got by virus infected. If your chicken already infected virus, you better separated it into another cage to avoid the virus infection. That’s all the cause and the treatment over jaundice in chicken. Please keep remind that if all treatment written above isn’t working and your chicken become worse, you better called vet quickly. If you didn’t know what’s the mainly cause of jaundice that attack your chicken, you better separate it from the first to decrease the risk. Special note for you who has chicken fighter, you need to more control the schedule both of real fight or just practices. It is better if you have more a chicken fighter because you don’t need to more press the chicken, but if you just have one you need to more selective to control it. For jaundice in chicken that caused by bacteria, you need to more focus to keep the cage cleaning moreover when the rain come. Make sure that there is no puddle which loved by fungal and bacteria to growth. Not only that, maggot also love moist place. So you better keep the cage dry and clean to press the risk of disease which can cause jaundice. It is surely be a big work for chicken livestock owner. Don’t feel too hard to do it. If they are healthy, the profit will surely advantages for you, isn’t it? Keep spirit.